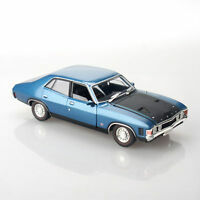 1:18 Full Interior -- Ford Falcon FPV GT-P "Winter White"
vantagemodelreplicas has no other items for sale. HOT WHEELS ZOWEES GOOD KNIGHT MIP SHELL USA PETROL PROMO MATTEL REDLINES ERA!! Product is as described. Outstanding delivery times. 1st class eBay seller. Great model well packed quick shipping! Thanks! Quick postage and AAA service Thank you. received item as described. good honest seller.